We are a group of digital geek with high experience in web site and mobile app design and development. 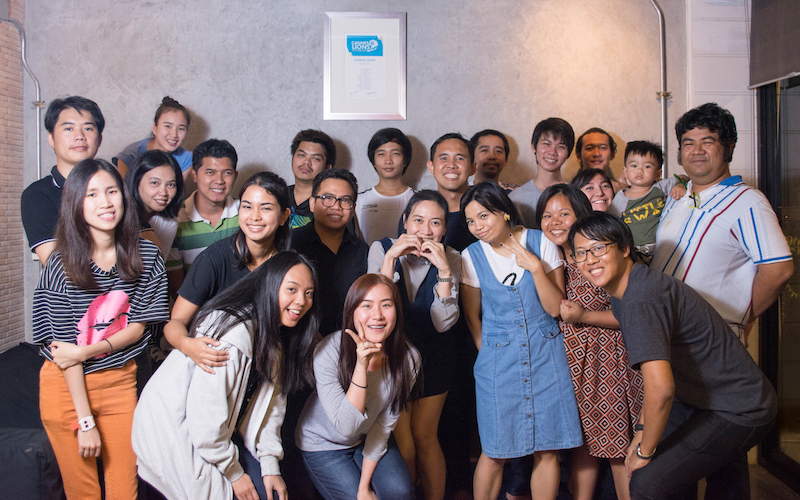 Founded in 2011, 3DS INTERACTIVE now serving an innovative digital solution to the largest brands such as Tesco Lotus, Sansiri, DTAC, Bangkok University, Assend, etc. We believe that brand and people can get the most out of each other by the help of innovative technologies. We deliver the end to end solution for online advertising that is designed to get your business to reach a million of people using innovative technologies as a tool. Started from your marketing objectives, the combination of technologies such as Mobile Application and Device Friendly Website will be used to create the tool to obtain, retain and impress your customer. Furthermore, with the power of social media such as Facebook, LINE and Google Search we will bring your brand into the massive group of your customer to deliver your online voice to the most exact target as it can be. We built the Tesco Lotus mobile application right from scratch, begin with the design, development and hosting the app on the most performance cloud computing. 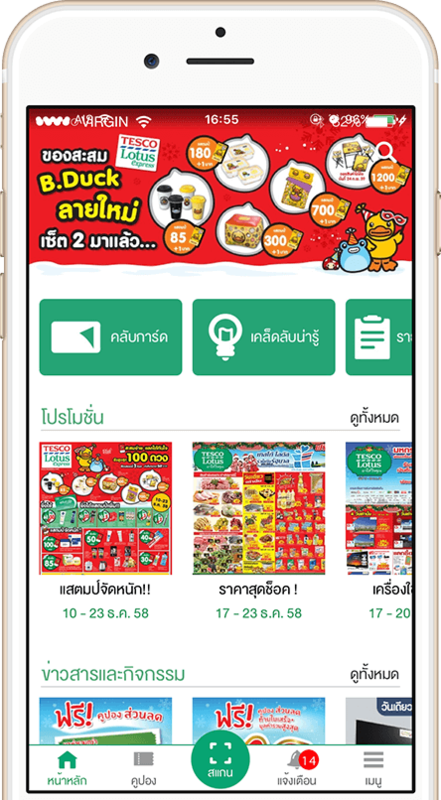 Now with more than 2 million of app's users per month, the Tesco Lotus mobile application has delivered ten of million promotions, special coupons and information that benefit to Tesco Lotus shopper in every month. This is the digital transformation implemented into every Tesco Lotus stores all over 3,000+ branches in Thailand. Now, with the bluetooth enabled mobile phone, Tesco Lotus customer will enjoy benefit from special promotion at the point of sale. We can say that we are the largest implementer of iBeacon technology in Thailand. As of now, when you navigate in Sansiri web site, most of web pages come from our best dedication of designer and developer to deliver the most beautiful most classic design and most effective programming as we can. The same technique as Google use in their search engine has been used in every Search Box in Sansiri web site to help you find the thing you want in as less typing as possible. 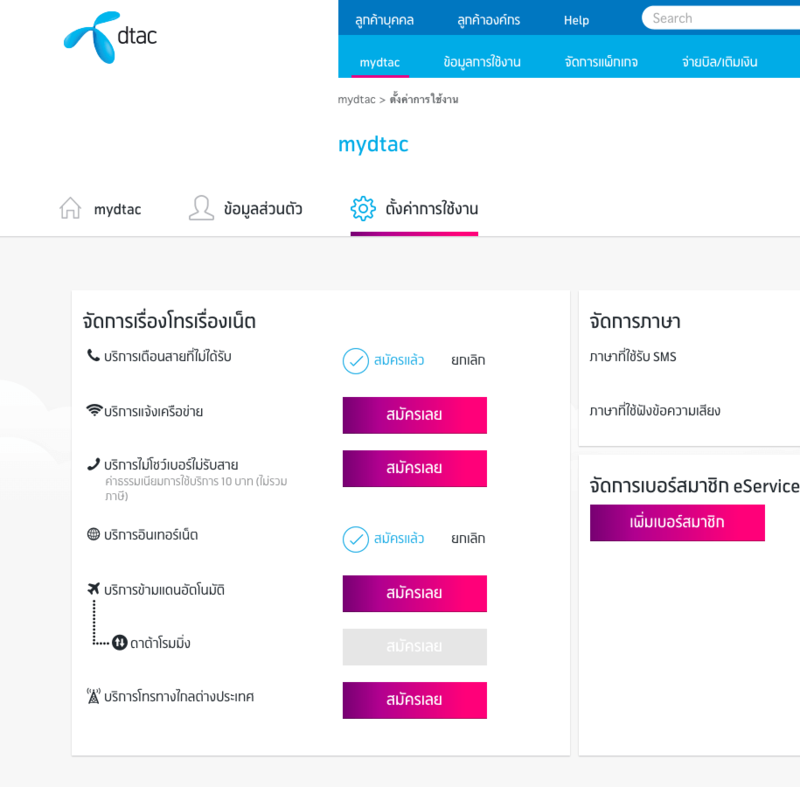 Many, many user experience testings had been done in the design process of DTAC e-service to find out what is the most effective user experience that this service can give to its customers. We can ensure that you will never get lost in the dtac e-service web site.